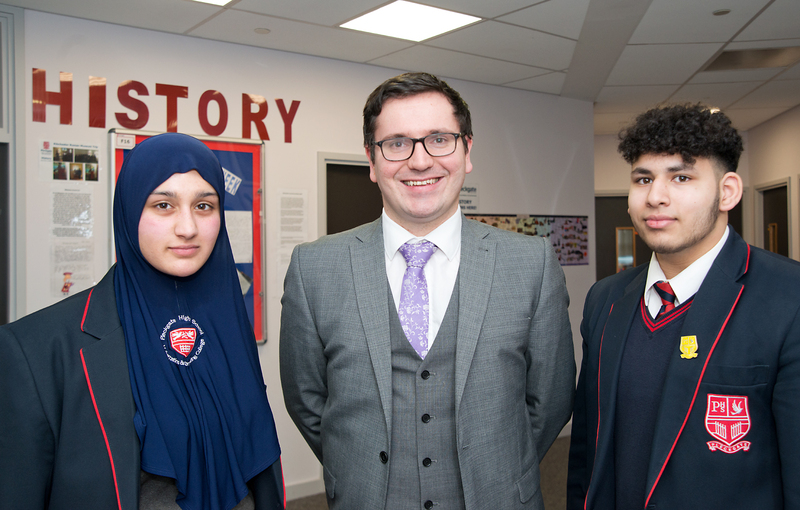 Pleckgate’s history department has been praised in an article about the innovative use of Virtual Reality technology to help improve learning. Pleckgate students used VR technology in the classroom to look around and experience 16th Century England at Hardwick Hall in Derbyshire. This helps students by either supporting a visit or as an alternative for those who can’t visit the sites as part of the new history GCSE examination, with the Elizabethan England unit, and this helps them see, sense and feel history. The findings were recently published in ‘Impact’ magazine’s 2nd edition, focusing on technology in education. Impact is published by the Chartered College of Teaching and The Chartered College was established last year with a vision to support teachers with the “latest educational evidence and research” in order to develop and improve teacher’s professional development. “We were delighted to have been chosen to trial this VR technology with our students,” said Head of History Mr Bajowski. “As a department we are aware that all our students learn in different ways and this technology helped to contribute to some very strong GCSE results last year. We are also committed to constantly developing our own practice, reading educational research and are prepared to try out new ideas in order to improve our practice. Ultimately we are a student-centred department and are prepared to develop our practice and go ‘off-piste’ in order to allow students to progress as fast as they can. Being chosen and recognised for this cutting edge work by the Chartered College of Teaching is a great accolade for the school and department and is just a small reflection on some of the research-based education teaching and learning that is going on in the classroom.